Decked out name-tags aren’t the only pro of providing labels and badges for events. 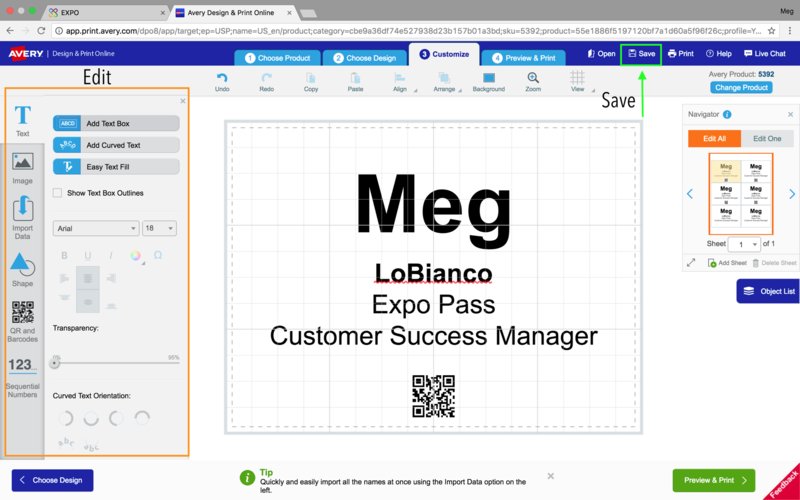 With integrated QR codes, attendee badges help your exhibitors qualify and track leads while your attendees network with ease. 3. Select 5-10 attendees as a sample population, and click the “More” option on the top bar of your dashboard. By only selecting a few attendees, you can quickly create a template that we will go back and use later for a larger badge/label print list. 4. From here, select either “Create Labels”, or “Create Badges”. This will bring you to the Avery website. 5. Select your badge/label size and either the single or double-sided option. The system will automatically populate the Avery 5392 (3" x 4"), but you do have the option to choose other badge and label types from the left hand side of the screen. 6. Select your design, or start from scratch with a blank design. 8. From here, you can edit size, effects, add images such as a logo, and customize your badge/label. *We recommend making your QR code the size of at least 4 x 4 (small squares) to ensure ease of scanning and function. 9. Once your badge is designed, click the green “Save” button in the upper right hand corner and save the template to your computer (do not save to My Avery). The file should appear on the bottom of your screen where you can drag and drop it to your desktop. 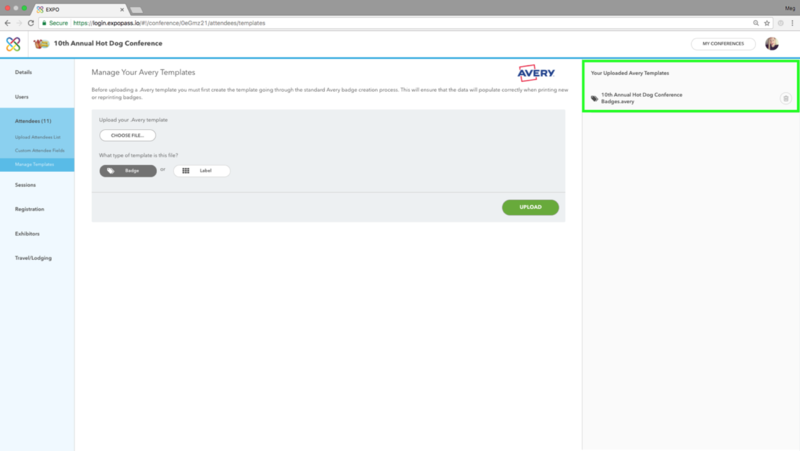 You can preview what your badges will look like before saving by clicking on the green “Preview & Print” button in the lower right hand corner on the Avery website. 10. Head back to your Expo Pass Dashboard. 11. 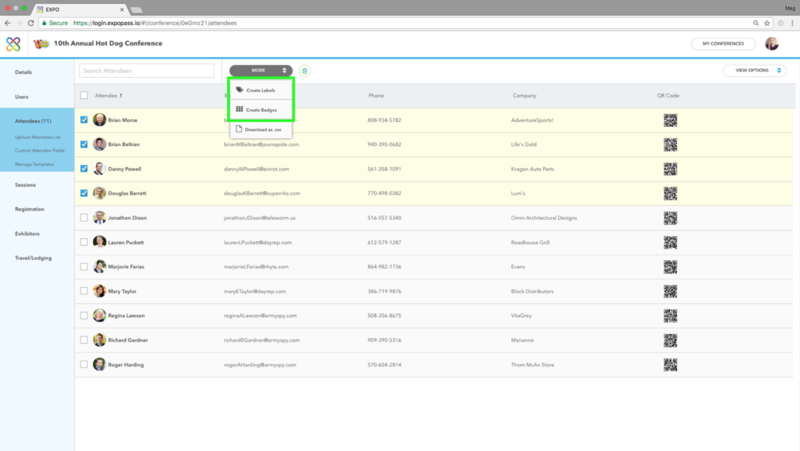 On the left-hand menu, select “Manage Templates” under the “Attendees” Section. 13. 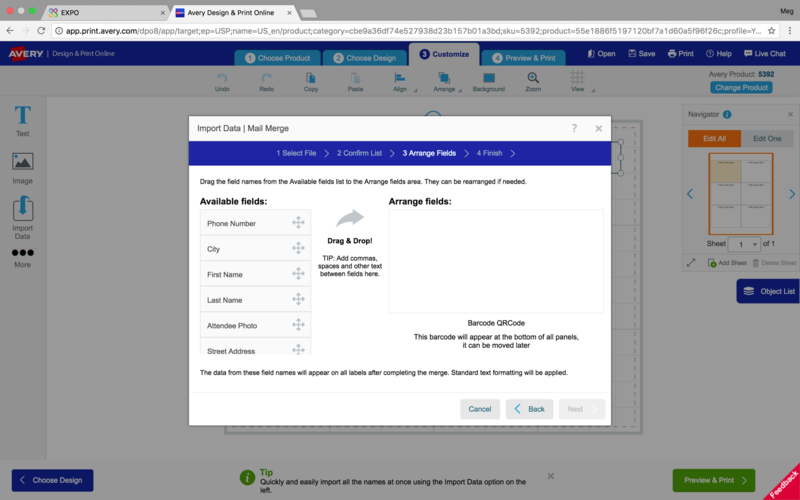 All future templates that you create and upload to Expo Pass will be saved in the “Your Uploaded Avery Templates” section. Now when printing badges, you can use templates already created to quickly choose from. Please see the "Print Attendee Badges/Labels" article in the Help Center for next steps on printing badges/labels!